October 16th is next Tuesday, and that is when T-Mobile subscribers will receive the usual bunch of freebies and discounts for the T-Mobile Tuesdays promotion. But there is also a sweepstakes that starts on Tuesday and ends the next day. Two Grand Prize winners will each receive codes for a $500 OtterBox gift certificate. Ten First Prize winners will each receive the code for a $200 OtterBox gift certificate, and 50 Second Prize winners will each get the code for a $100 OtterBox gift certificate. 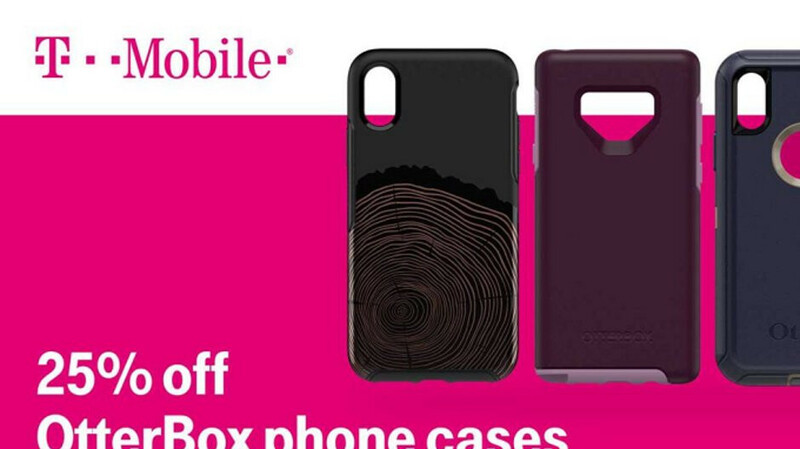 T-Mobile subscribers can enter the contest from the T-Mobile Tuesdays app. Non-T-Mobile subscribers can enter on Tuesday at amoe.t-mobiletuesdays.com. There will be 62 prizes handed out to sweepstakes winners, with a total value of $8,000. OtterBox produces some of the most popular smartphone cases available, and winners should be able to put their gift certificates to good use. $20 off orders of $40 or more from HalloweenCostumes.com. Last minute concert seats in sold out locations from Live Nation. Deals on Hotel Rooms from HotelStorm. $10 off sports tickets from fanxchange. Free one-night disc rental from Redbox. 25% off OtterBox phone cases. $10 off purchase of $20 and up from Aerie. These prizes can be claimed by T-Mobile subscribers through the T-Mobile Tuesdays app.